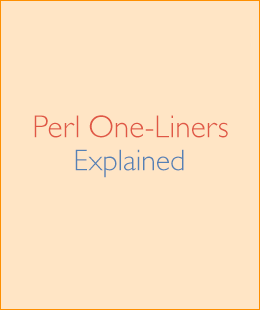 The ultimate goal of the Perl One-Liners Explained article series was to release the perl1line.txt file. Last week I finished the series and today I am happy to announce perl1line.txt – a collection of handy Perl one-liner scripts. 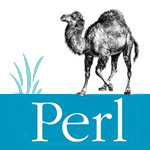 Perl1line.txt file contains over a hundred short Perl one-line scripts for various text processing tasks. These tasks include – changing file spacing, numbering lines, doing calculations, creating strings and arrays, converting and substituting text, selective printing and deleting of certain lines, and modifying text with regular expressions. Here is the full table of contents of perl1line.txt. String Creation and Array Creation. Selective Printing and Deleting of Certain Lines. You can send me bug fixes and updates via GitHub. I put the file in its own perl1line.txt repository. I also accept translations. Send them in! Please email me peter@catonmat.net if you want to translate it. I hope you found these one-liners useful and have fun! The next, and final, thing I am doing with these one-liners is releasing Perl One-Liners Explained e-book. Stay tuned! Update: I finished writing the e-book. Check it out! Awk posts have been read over 2,000,000 times and sed posts over 1,500,000 times. Have fun writing one-liners and see you next time!